When you need some sort of assisted care for your elderly parent, grandparent, or other adult, you want the best care possible. You place your trust that the nursing home or assisted care facility you choose will take care of him or her. It is unthinkable that your loved one may suffer some form of elder abuse. When caregivers or employees in nursing homes or other assisted care facilities knowingly, intentionally, or negligently act in a way that causes harm to adults who are weak and vulnerable, this constitutes abuse. And that abuse can take many forms. Physical involves the infliction of pain or injury, such as pushing, slapping, or hitting. Typically, this results in bruises, lacerations, and broken bones. Emotional abuse involves causing distress, mental pain, or anguish by yelling, threatening, or simply by ignoring the person. Signs to look for include withdrawal, fear, anger, and emotional outbursts. Sexual abuse involves any form of sexual harassment or any sexual act that is non-consensual. Look for signs such as bruising in the genital area and torn or bloody clothing. Basic neglect involves the refusal or failure to provide adequate necessities such as food, water, and shelter, which ultimately can result in health conditions such as ulcers, malnutrition, bedsores, and untreated infections. Not all cases of nursing home abuse are intentional; however, no matter how the abuse occurs, it is still unacceptable treatment for our elderly. 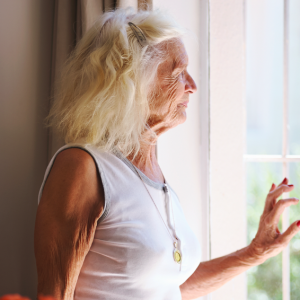 If you believe that your elderly loved one is being abused by his or her caregivers, the first step is to relocate him or her to a safer environment then seek legal guidance. The attorneys at Nash & Franciskato will conduct a thorough investigation, which may include looking at the training staff members receive, their level of experience in handling various health conditions and even do background checks. We are your advocates and the voice for your elderly family member, fighting to stop his or her pain and suffering.